Previously, eTap electronic wireless shifting was only available at the Red level. This meant the technology was out of reach for a lot of people or cyclists with more discerning tastes. In the second generation, announced today, SRAM is offering eTap at the Force level. Mark V is writing about Force eTap AXS in another post. This one is about Strada & Strada Due Force eTAP AXS. 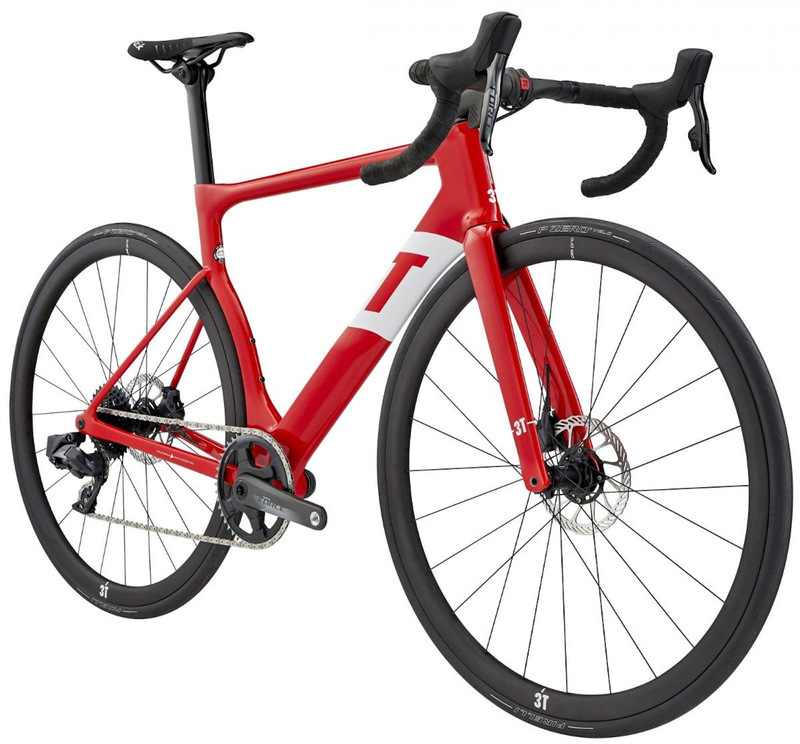 3T offers two models with Force eTap AXS. The first is the Strada, 3T’s breakthrough aero frame with unparalleled comfort. It’s still the only aero frame optimized around the comfort of larger tires (depending on the tire and rim combo even 32mm effective width tires can fit, realistically it’s a 28), we always knew the Strada would come into its own with a 12-speed drivetrain. The difference between the Red and Force is the finishes. The internals are the same. Force weighs more because the finish are of a less quality. The two groups feel the same. The Force eTap drivetrain comes with a 10-33 cassette and a 44t chainring, given you the top-end gear of around a 48×11 (or 53×12) and the climbing gear of a 36×27, so very close to a standard drivetrain for all terrains. The 12 cogs in the back have nice small steps through the whole range with 1-tooth jumps for the first 6 cogs. That feels more like a road bike. 3T builds the Stradas up with revamped Discus C35 wheels, carbon SuperErgo cockpit with Pirelli tires & Fizik tape. It’s a good build and at a reasonable price. 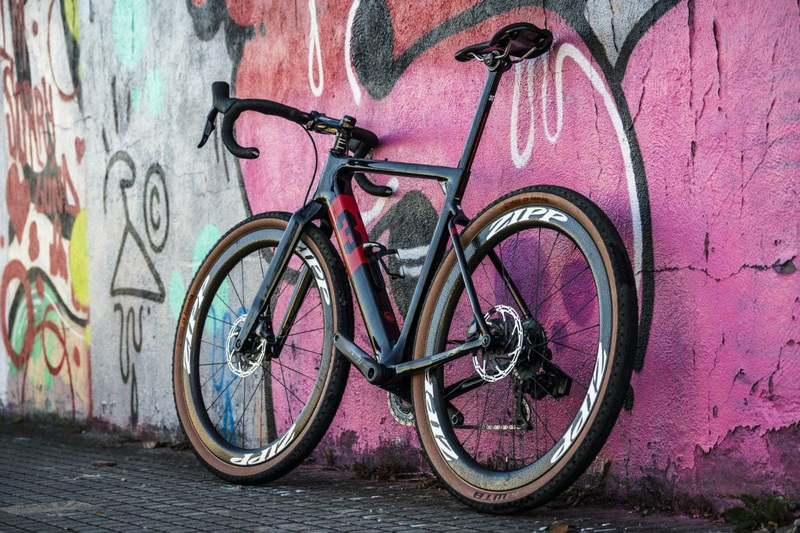 3T added a new red livery for the Force eTap AXS groupset. For those prefer a front derailleur, 3T offers the Strada DUE Force eTap AXS. The Strada Due gets a similar finishing kit to the Strada, but of course with a front derailleur and 2×12 gears. For pricing, spec, and more details about Strada Force eTAP AXS click through to 3Ts site. I’d share the differences between the groups, but SRAM hadn’t published them at the time of the story.